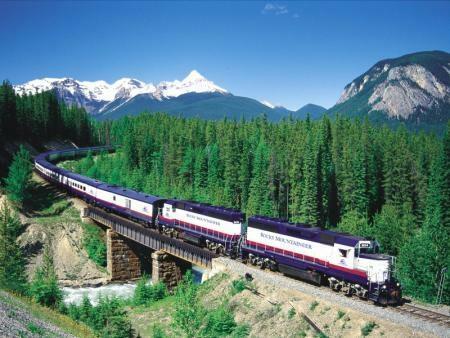 Once impenetrable to all but the hardy outdoorsmen who trapped, snowshoed, and traded furs in the formidable alpine terrain, Canada’s Rocky Mountains attracted the attention of railroad barons in the late 1800s who envisioned sharing this natural kingdom with their rail passengers. As they laid tracks over the rugged landscapes, they also laid the foundation for some of the most magnificent wilderness resorts ever built. 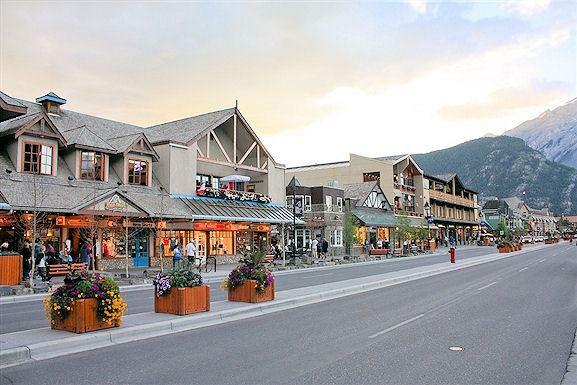 Their vision was our fortune, rewarding us with privileged access and sumptuous accommodations in some of the most beautiful and pristine places in North America. 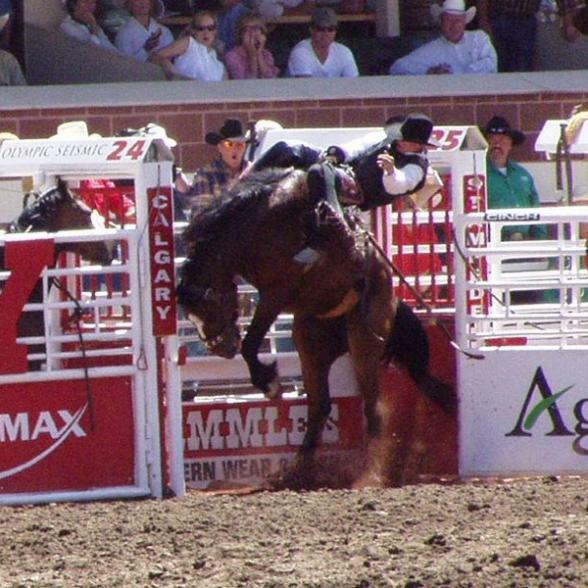 Tour departs: 3:00 PM from Calgary International Airport. For guests who are spending the previous night in Calgary, an airport transfer from Calgary International Airport to The Westin Calgary is included; pick-up time today will be 1:00 PM at The Westin Calgary. 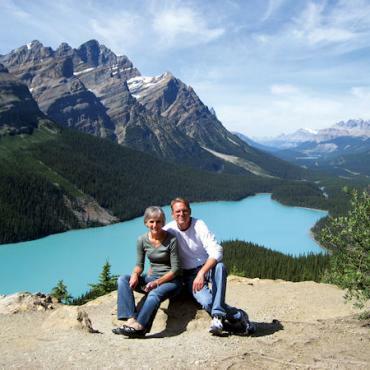 Best of the Canadian Rockies begins with a journey from Calgary International Airport that takes you across the last few miles of Canadian prairie to Kananaskis country. 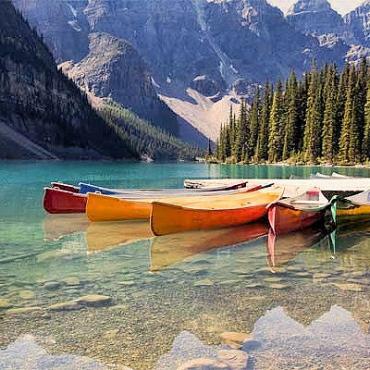 Located in the foothills and front ranges of the Canadian Rocky Mountains, the alpine scenery is a feast for the eyes. We look forward to seeing you this evening at our Wild West welcome reception and dinner with rodeo entertainment at an upscale ranch – a great way to start your trip. Weather permitting, why not start the day with a morning helicopter excursion that showcases the stunning Three Sisters Peaks. 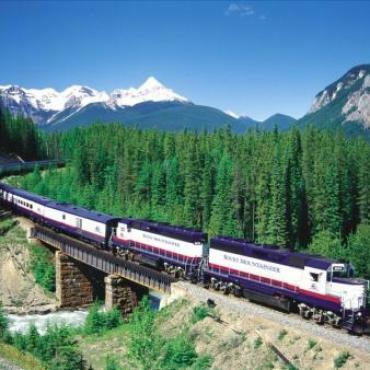 Then head high up into the Canadian Rockies and cross the Continental Divide through Kicking Horse Pass on a day of Alberta travel on which you'll see some of the most beautiful lakes in North America, including Lake Louise, where you'll have lunch. 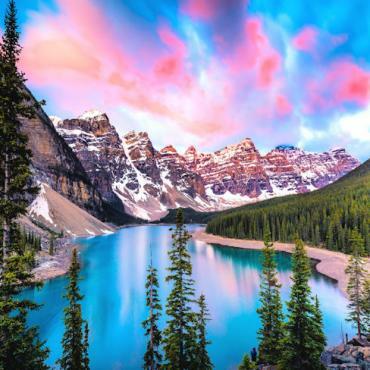 Later, enter Yoho National Park, where Emerald Lake sparkles with the surrounding peaks reflected in the green waters; see the Spiral Tunnels, a century-old engineering feat created for the Canadian Pacific Railway, and Natural Bridge, a rock formation over the Kicking Horse River. Arrive at your historic chateau-style resort hotel on the edge of Lake Louise overlooking Victoria Glacier in Banff National Park, where you'll enjoy lake-view accommodations during your two-night stay; have dinner at the hotel tonight. 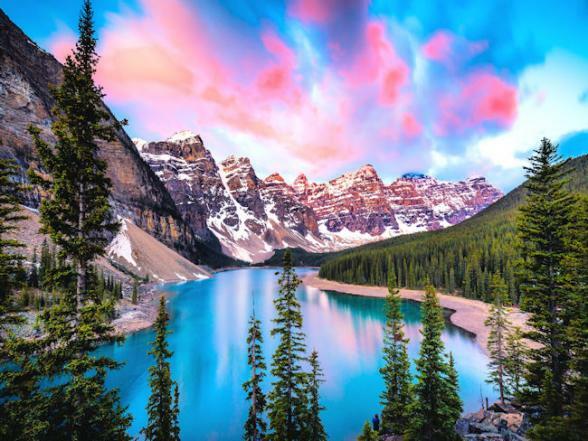 Come along with our naturalist guide today for an excursion (weather permitting) to lovely Moraine Lake, one of the most photographed spots in all of Canada, located in the Valley of the Ten Peaks. This glacially fed lake reflects the awe-inspiring beauty that prompted explorer Walter Wilcox, who named it Moraine Lake after the moraine, or rock pile, deposited by the Wenkchemna Glacier, to write “no scene had ever given me an equal impression of inspiring solitude and rugged grandeur,” adding that his time spent contemplating the view was the happiest half-hour of his life. In the event of adverse weather conditions, join Tauck's naturalist guide for a tour of Lake Louise. Return to The Fairmont Chateau Lake Louise to spend the rest of the day as you wish. Experience some of the most breathtaking scenery in North America today when you take the amazing journey along the Icefields Parkway to Jasper National Park. 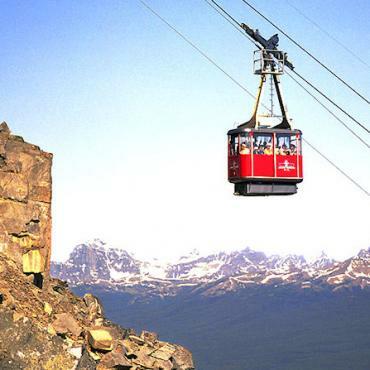 This stretch of highway, undeniably a wondertrail, runs from Lake Louise to Jasper. Its 143-mile length affords constantly changing views of more than 600 glaciers, six icefields and a cornucopia of mountains. 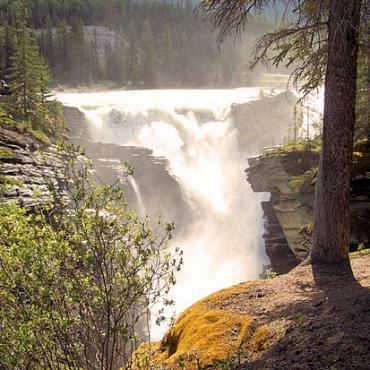 Today you will see why it is considered by many to be the most spectacular in the Canadian national parks system. Your accommodations for the next two nights are equally impressive. The Fairmont Jasper Park Lodge is nestled on the shores of Lac Beauvert on an elk-populated, lushly wooded 900 acres of pristine wilderness. 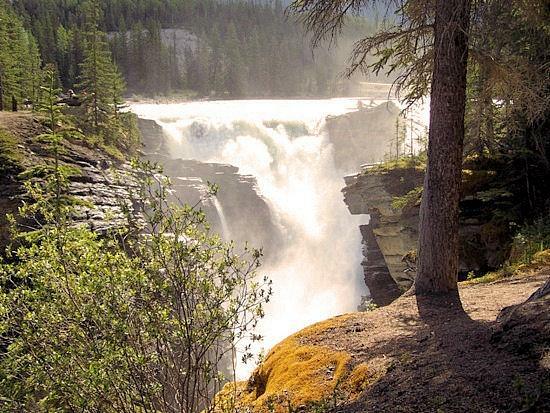 The striking natural landscapes and carefully protected ecosystems of Jasper National Park are truly a photographer’s paradise – and they are yours to enjoy as you please today with Jasper Your Way, where it’s your choice of an included discovery tour within Jasper National Park. 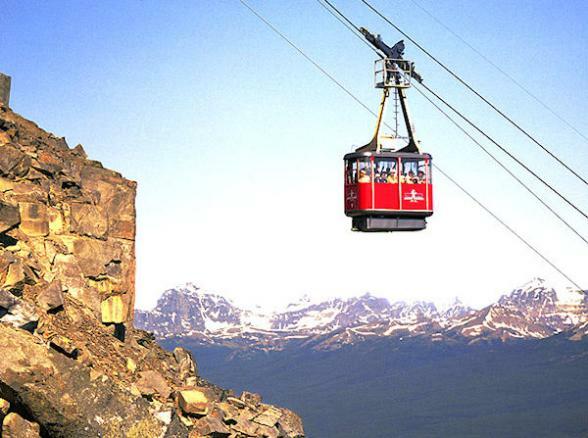 Choices include a Wildlife Discovery Tour where you explore area landscapes with a wildlife interpreter; a whitewater rafting adventure on the Athabasca River led by Rocky Mountain River Guides; and a very popular trip on the Jasper Tramway through the amazing alpine tundra with a visit to town. Optional activities at your lodge (available at additional cost) include trail riding, biking, boating, and golf. 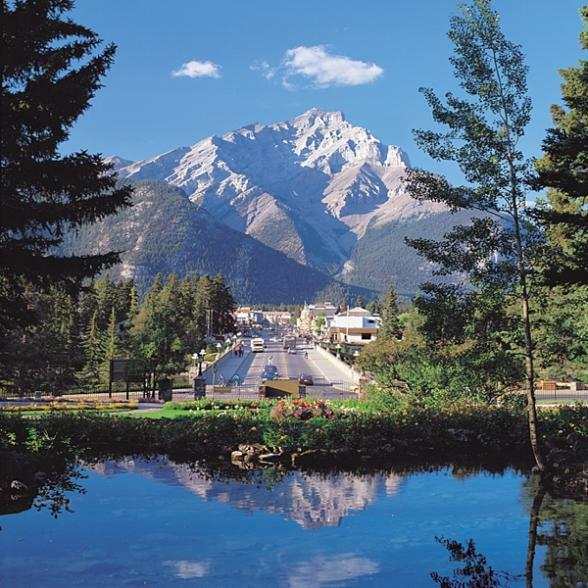 You’ll be amazed by your views of the mountains anywhere you go in Jasper National Park, lending an air of tranquility. Join us this afternoon for a fascinating presentation by a National Parks official. 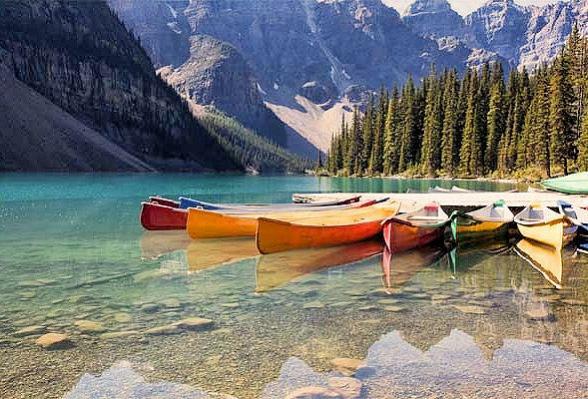 Return to Banff National Park, crown jewel of the Rockies, once again along the Icefields Parkway. You’ll enjoy the park’s unspoiled natural beauty from different vantage points today. View mighty Athabasca Falls and the two monumental peaks framing Athabasca Glacier; the famed glacier originates in the Columbia Icefield, whose waters flow into the Atlantic, Pacific and Arctic oceans. Athabasca Glacier is the largest mass of ice in the Canadian Rockies. Get a closer look at the surface of the glacier aboard a specially designed Ice Explorer vehicle, where you’ll learn a bit about its formation. Arrive in Banff National Park for a two-night stay at The Fairmont Banff Springs, styled after a Scottish baronial castle more than a century ago; the resort’s gracious grandeur is reminiscent of bygone days. 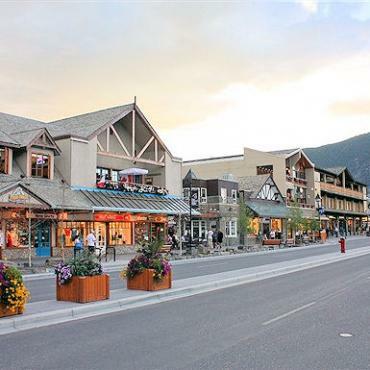 The village of Banff rivals the chic alpine villages of the Rocky Mountains in the western United States; today is free for you to explore this premier resort town as you please. Tauck includes the Banff Heritage Passport that offers admission to the Banff Park Museum National Historic Site of Canada, whose grand 1903 building featuring cross-log construction is in itself a historic attraction. From strolling along the western-themed streets to exploring points of interest or enjoying the magnificent alpine surroundings, Banff rocks. Join us tonight for a special farewell reception with musical entertainment, followed by dinner where the views are a feast for the heart and a great finale. Travel back to Calgary (approximately 80 miles). Tour ends: 10:00am at Calgary International Airport. Your tour may be at an end but your adventure doesn't have to finish here. Perhaps you may want to extend your stay and head to Vancouver and Vancouver Island for some sightseeing and exploration. 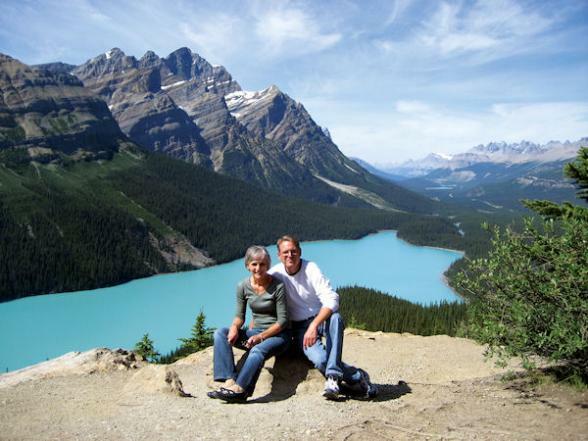 Call the travel specialists at Bon Voyage to discuss your ideal Best of Candian Rockies tour.